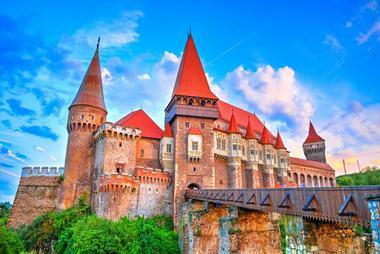 Romania is a beautiful tourist destination filled with history, art and natural landscapes that are breathtaking. The European country is commonly overlooked when looking for a getaway, but in Romania, visitors will often find beauty in every turn. 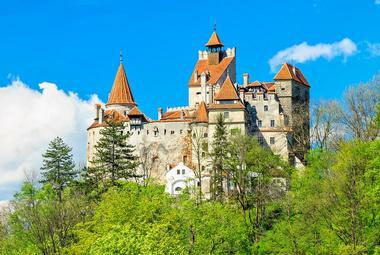 There are a number of castles with stunning architectural aspects; these include Corvin Castle, Peles Castle, and Dracula’s very own Bran Castle. Other sites that shouldn’t be missed are Merry Cemetery, Curtea Veche, the Stavropoleos Monastery, and the Dimitrie Gusti National Village Museum, which has nearly 300 authentic houses and farms depicting traditional Romanian village life. A national monument and landmark in Romania, Bran Castle is a fortress that is one among many locations commonly known as “Dracula’s Castle.” It is considered one of the most beautiful medieval castles in Romania and currently houses a museum dedicated to the furniture and art collected by Queen Maria. 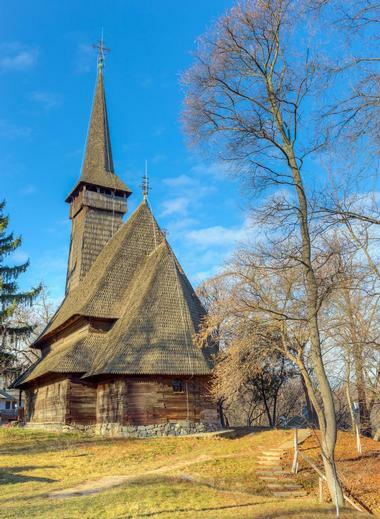 In addition to that, visitors can also visit the open-air museum park on the castle grounds to see an interesting exhibit of traditional Romanian peasant structures, such as barns and cottages from villages across the country. There are many tours available, so visitors can truly explore the interior and exterior of Bran Castle and everything it holds. 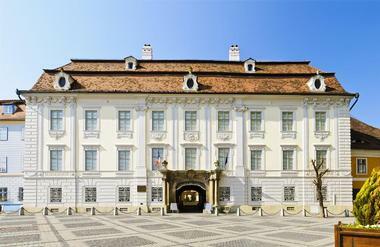 The Brukenthal National Museum started in 1790 with the personal collections of Samuel von Brukenthal, who was a Habsburg governor of Transylvania. The museum is housed in the late 18th-century structure, which was once the governor's palace and was opened to the public in 1817. Visitors can now explore one of the oldest institutions, which has since then been expanded into six museums scattered around the city. 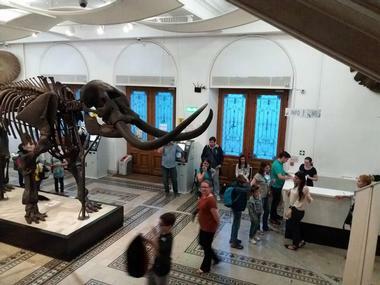 The museum comprises art galleries, a library, the Museum of History, the Museum of Natural History, the Museum of Pharmacology, and the Museum of Arms and Hunting Trophies. Collectively, visitors will be able to see ancient medical instruments, nearly 300,000 rare books, and over 1,000 works of art. Listed as one of the top seven wonders of Romania, Corvin Castle is also considered one of the largest castles in all of Europe. The castle dominates the city which surrounds it, Hunedoara, and has done so since it was the home of medieval Hungarian king Matthias Corvinus. Visitors can learn all about the legends that surround the castle as they explore its stunning architecture and decor, legends that include it being the place John Hunyadi kept Vlad the Impaler as a prisoner. Stunning aspects of the castle that visitors shouldn’t miss include Throne Hall, the Knight’s Hall, and a beautiful stained-glass window of John Hunyadi, Hungary’s military leader. 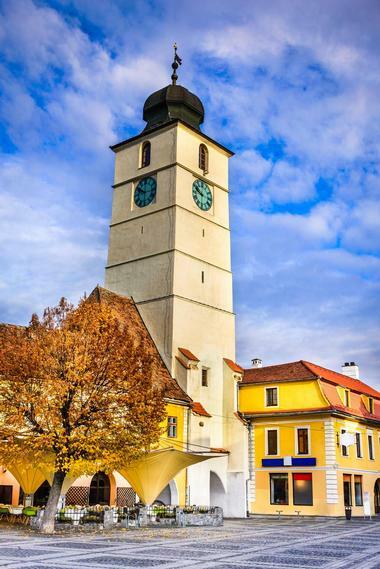 The Council Tower of Sibiu is a 13th-century structure that offers visitors a stunning insight on architecture of that time as well as panoramic views of the surrounding city. It is an important symbol in the ancient Romanian city of Sibiu and has remained constant throughout the city’s rich history and growth. Visitors are invited to climb the white tower, where they will be met with a beautiful view of both the city and the Fagaras Mountains from the observation platform. During the climb, there are many opportunities to explore the art and photo gallery at the tower as well as the old clock tower’s inner workings. Also known as the Old Princely Court, Curtea Veche was built in 1459 as a residential palace during the rule of Vlad the Impaler. 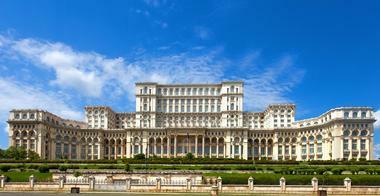 It is the oldest historical site in Bucharest and has played a huge role in the city’s history. 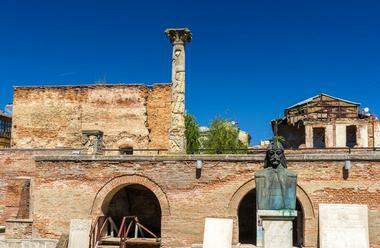 Presently, Curtea Veche houses a museum dedicated to wall fragments from the 13th century as well as historical prints from the 18th century. 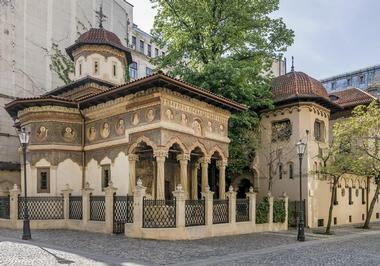 The site is home to the “oldest religious building in Bucharest,” the Curtea Veche Church, which was built by the prince of Wallachia, Mircea Ciobanul, in 1559. 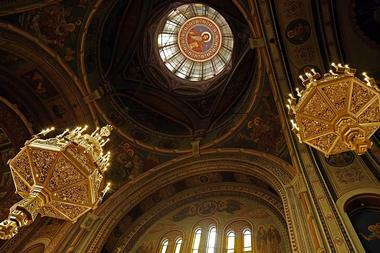 The interior of the church and its beautiful dome interior are sights that shouldn’t be missed. The Dimitrie Gusti National Village Museum can be found in Herastrau Park in Bucharest. The open-air ethnographic museum was created by ethnographer Henri H. Stahl, dramatist Victor Ion Popa, and the sociologist for whom the park was named after, Dimitrie Gusti, in 1936. Today, visitors come from all over to explore the large land, which showcases nearly 300 authentic houses and farms depicting traditional Romanian village life all over the country. Visitors of all ages will love being able to see the homes and lifestyles that are so varied. such as an 18th-century Buzau house and a Dragomiresti church. What was then called the National Museum of Natural History, the Grigore Antipa National Museum of Natural History was established in 1834. The collection began with a donation by the Great Count Mihalache Ghica, which included an array of coins, minerals, and works of art. Presently, the museum is considered one of the leading institutions in culture, education, science, and entertainment in Romania. The museum is closed on Mondays, but on any other day of the week visitors will be able to see artifacts in the permanent exhibition on topics as varied as the Black Sea, the Alpine bioregion, and Malaysian fauna, among other things. 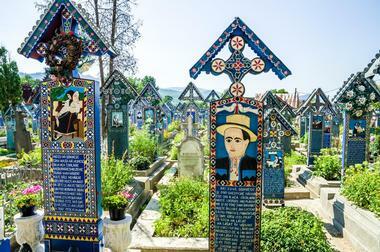 Merry Cemetery is renowned for its colorful tombstones and poetic paintings, making it a popular attraction for those visiting Romania. 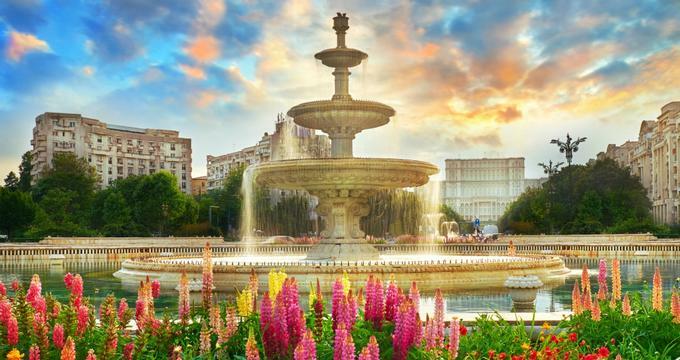 The national tourist attraction is now considered an open-air museum and visitors are invited to see the beautiful tombstones and the thoughtful depictions of the people who were buried there. The epitaphs found in the cemetery are an attraction of their own and range in tone, with many being rather funny and amusing. Aspects of Merry Cemetery that shouldn’t be missed include the tombstone of the creator of the cemetery, Stan loan Patras, various other artistic tombstones, and the nearby Orthodox church. Built between 1698 and 1702, Mogosoaia Palace was built by one of the princes of Wallachia, Constantin Brancoveanu. The building’s architecture resembles that of Romanian Renaissance style and its history not only includes it being the residence of the Brancoveanu family but also an inn and eventually a museum. Visitors can explore the popular tourist destination, taking in the beauty of the museum and art gallery, which is filled with an extensive collection of precious art. Visitors are also invited to explore the beautiful palace grounds and gardens, which host various events throughout the year. 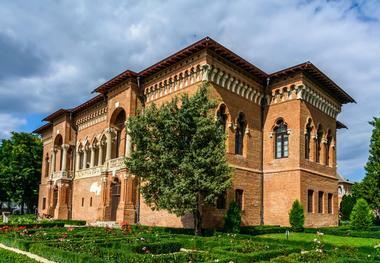 The Museum of Banat can be found in Timisoara, Romania, in one of the oldest monuments in the city, Huniade Castle. The castle, which was built by John Hunyadi in the 14th century, has as impressive an exterior as the items found within the museum. The castle houses two sections of the museum, dedicated to natural science and history. Visitors will be able to see one of the largest collections of archaeological objects as well as departments dedicated to ethnography and the conservation of historic objects. The museum’s permanent exhibition has many objects that are listed as a National Cultural Heritage Treasure, from the Neolithic period as well as the Middle Ages. Once awarded the title of “European Museum of the Year”, the Museum of the Romanian Peasant is one of Europe’s most popular attractions. The museum, which focuses on popular arts and traditions, has a large collection of ceramics, icons, textiles, and especially costumes from Romanian peasant life. 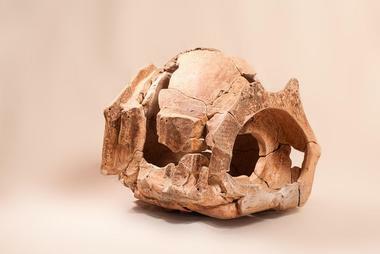 Visitors will also be able to see many other artifacts in the collection, which comprises over 100,000 objects. One of the most remarkable exhibits in the museum is “the house in the house” by Tzigara Samurcas, which displays the actual house and decor of peasant Antonie Mogos. 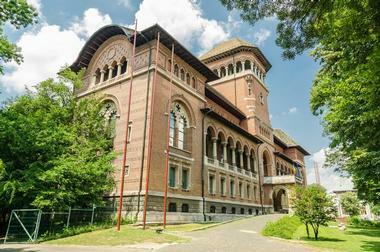 The National Museum of Art of Romania was established in 1948 and the collection now has over 70,000 artifacts. The museum is currently housed in the Royal Palace within Revolution Square and is a part of the National Network of Museums of Romania. Visitors will be able to explore an extensive collection of modern and medieval Romanian art; the collection even includes pieces from the Romanian royal family’s collection. Some noteworthy paintings that visitors should not miss include Claude Monet’s Camille in Green Dress, Bernardino Licinio’s Return of Prodigal Son, and Paul Signac’s Gate. There are many events and creative workshops hosted by the museum throughout the year for visitors of all ages. 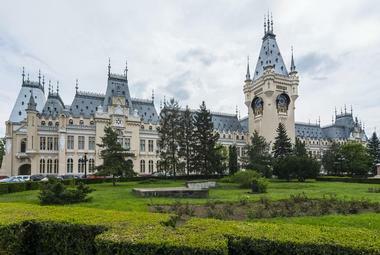 Listed on the National Register of Historic Monuments, the Palace of Culture was constructed between 1906 and 1925 and was used as an administrative and justice palace for 30 years. Currently, visitors will not only be able to see the historic edifice but are also welcome to explore the four museums that are housed within it as the Moldavia National Museum Complex. The complex comprises an art museum, the Ethnographic Museum of Moldavia, Moldavia’s History Museum, and the Science and Technology Museum. There are many other aspects of the Palace of Culture other than the museums, such as the Voivodes’ Room, which is filled with portraits of Romania’s kings and Moldavia’s rulers. The Palace of the Parliament, which is also known as the People’s House or the House of the Republic, was completed in 1997. The building holds many titles, such as the world’s largest administrative building, and the world’s heaviest building, weighing in at 4,098,500,000 kilograms. The parliament building has various departments and houses the Chamber of Deputies and the Senate in addition to an international conference center and three museums: The Museum of the Palace, the Museum of Communist Totalitarianism, and the National Museum of Contemporary Art. Visitors are invited to explore the museums, the building’s interior and exterior architecture and decor, as well as the surrounding grounds. Often considered a masterpiece of German new-Renaissance architecture, Peles Castle is called one of the most stunning castles in Europe. This is due not only to the actual castle structure itself, but also to its picturesque surroundings on the foothills of the Bucegi Mountains. The castle was constructed for King Carol I in the early 1900s. The museum is closed on Mondays but there are many tours available, depending on the extent that a visitor would like to explore on any other day of the week. 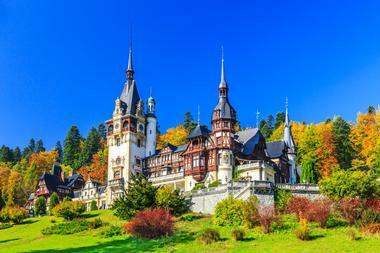 The most notable aspects of Peles Castle are the Imperial Suite, which is thought to be a tribute to Austrian Emperor Franz Joseph I, and the Hall of Honour, which is filled with exquisite stained-glass panels, sculptures, and carved woodwork. Poenari Citadel, also known as Poenari Castle, is the ruins of a structure originally erected in the early 13th century. It was abandoned for many years before Vlad the Impaler built one of his main fortresses there, consolidating the structure. A majority of the walls and towers still stand today and visitors can climb and explore the citadel and its marvelous 13th-century mortar work. 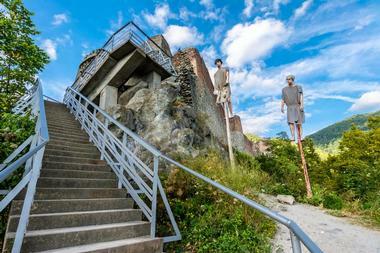 A visit to Poenari Castle also provides spectacular views of the cliff-side surroundings. Taking a tour with a knowledgeable guide will give visitors an insight into the many legends that surround this wondrous citadel. Built by Prince Stephen the Great in 1466, Putna is a Romanian Orthodox monastery that houses the tombs of Stephen and many of his family members. 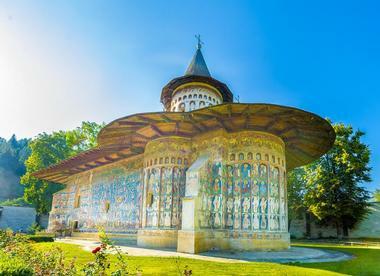 This is one of the most significant cultural and artistic religious centers to be established in medieval Moldavia, and the tombstones are prime examples of Moldavian art during that time. What visitors see in the monastery’s architecture presently is a combination of its original structure and the renovations that were added by Vasile Lupu in the 17th century. Visitors of the monastery must be sure to see one of the oldest pieces of embroidery, an epitaphion made from gold thread and silk in the 14th century. 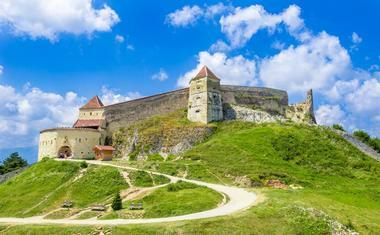 A historic monument and landmark in Romania, Rasnov Citadel was originally built in the early 1200s as part of a defense system for villages that were potentially exposed to invasion. Though the medieval citadel that visitors see today is thought to have been built during the rule of the Teutonic Knights in 1211, archaeological research shows that fortifications of some sort existed well into the prehistoric and Dacian times. Exploring the simple architectural style of the citadel, which is made from stone, brick, and wood, is one of the features of visiting this attraction; others include the towers, the interior and exterior court, and the beautiful sights that surround the citadel. 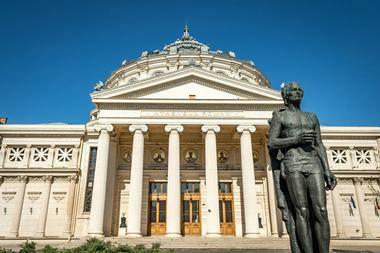 Owned by the Romanian Philharmonic Society, the Romanian Athenaeum originally opened in 1888. The concert hall can be found in the center of Bucharest and is considered a significant landmark of the capital city. It is also the home of the George Enescu Philharmonic Orchestra, which was found in 1868. 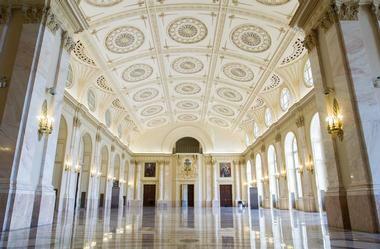 Art and architecture aficionados will love exploring the neoclassical building and its stunning interior and exterior. The beautiful ceiling spanning the auditorium and the frescoes that decorate the inside walls shouldn’t be missed; the frescoes were done by Romanian painter Costin Petrescu between 1934 and 1939. Titled one of the “coolest underground places in the world” by Business Insider, Salina Turda is a salt mine that has a number of things for people to do. Visitors can explore the mines, the salt chambers, and the unique mining machinery used there. 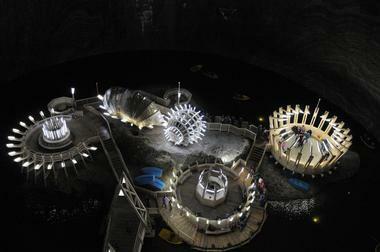 The museum combines history and legend to tell a story of everything the salt mine has done and continues to do. In addition to the mines and the museum, what really attracts visitors to Salina Turda is the spa and wellness center as well as the leisure center, which has mini bowling, mini golf, lap tennis, badminton, billiards, table tennis, an amphitheater, and boat rides on an underground lake. The Stavropoleos Monastery was originally built in 1724 and has been demolished, reconstructed, and renovated many times over the years. What visitors see today is mainly the building that was consecrated in 2008, which houses icons, objects, and paintings from the early 18th century. The monastery has a library with over 8,000 books, including manuscripts, printed works, and a holy book that dates back to 1723. Visitors will get to see the rich stone carvings decorating the monastery as well as the frescoes painted on the walls. It’s common to find many visitors simply enjoying the peaceful surrounding in the monastery’s courtyard. Timisoara is a Romanian Orthodox church that was consecrated in 1946 and dedicated to the Three Holy Hierarchs, John Chrysostom, Gregory the Theologian, and Saint Basil the Great. The cathedral is the seat of the Archbishop of Timisoara and is listed on the National Register of Historic Monuments. The neo-Moldavian architectural style has various elements that attract visitors; the paintings on the interior and exterior of the church are as stunning as the many artistic religious objects that are found within the cathedral. Things that visitors shouldn’t miss when visiting the Timisoara Orthodox Cathedral are the vintage Romanian icon paintings and the collection of early Romanian writings. 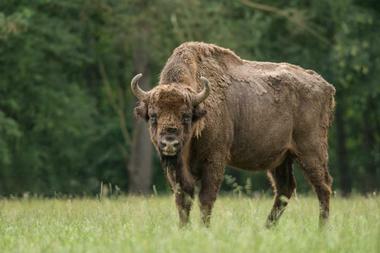 Timisoara Zoological Garden originally opened in 1986 with nearly 30 animal species that are endemic to Romania. Today, the 15.7-acre zoo is home to numerous animals, including brown bears, macaques, northern raccoons, peacocks, Chilean ducks, goats, and capybaras. The zoo is a member of the Romanian Zoo and Aquaria Federation and collaborates with many other zoos in the country to focus on research, habitat preservation, and breeding. The zoo is open to the public all year long and visitors of all ages can participate in the various events that are hosted there. 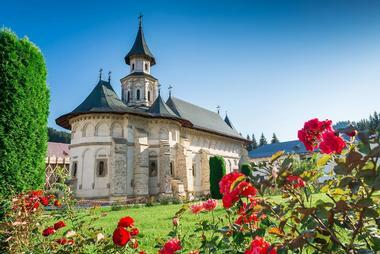 Established in 1488, the medieval Voronet Monastery can be found in the town of Gura Humorului. The monastery was constructed by the Prince of Moldavia, Stephen the Great, to commemorate the victory at the Battle of Vaslui. The monastery is extremely popular for its paintings and frescoes, which include an intense blue color that is now known in Romania as “Voronet blue”. The frescoes depict various scenes, such as the Last Judgement and the story of Cain and Abel. Visitors are urged to visit this “Sistine Chapel of the East” and explore the architecture and art within it. They will also come across various tombstones, a chapel, housing for the resident nuns, fountains, barns, and stables.